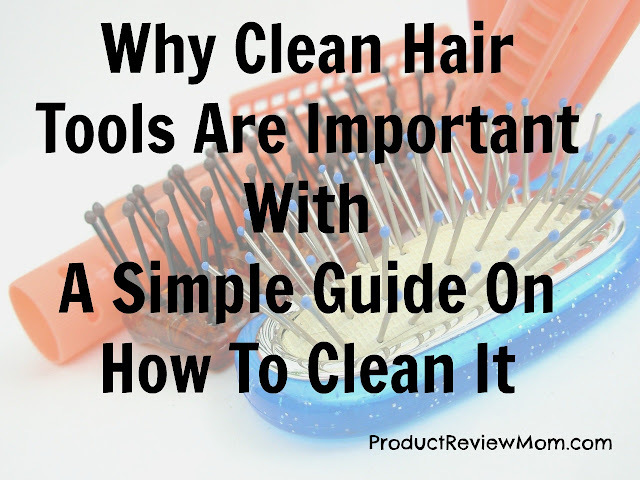 When is the last time you thoroughly cleaned your hair tools? Many of us do not include cleaning hair tools on their to-do list. It won’t be surprising to find out that we only think about the combs, flat iron tools, and clippers when we need to use them. Then, we just use and slip the tool back into its packaging or storage covered with the oils till next time. Even when you visit the salon, you care little about the condition of the equipment your stylist is using. Unfortunately, any tool will work efficiently only if it is taken proper care of. This includes proper cleaning to remove gunk and chemical buildup which could limit the function of your hair tools. Do you envy your friends because of their healthy and luscious bouncy hair? The kind of tools used during styling could have a large influence on the condition of the hair. Besides, would you be comfortable brushing your clean, elegantly-styled hair with a dirty comb? They can actually harbor dust mites and bacteria. You should cringe at the thought of gunk, flakes, or dead skin being introduced into your clean hair by the dirty brush. Many chemicals used in hair products decompose when exposed to air and heat into plastic kind of coatings which adhere to the tool. These coats will prevent styling tools such as flat irons and curlers from doing an efficient job. The gunk doesn’t just build on the tools, but can also be passed onto the hair during styling. You’ll find that such hair doesn’t respond to styling processes properly. This means you do not get excellent curls, or so. Think of a blow dryer that has lint and other particles stuck inside its vent? The dirt blocks the filter and hinders proper functioning of the blow drier. Besides, such a blow dryer is not only prone to breakdown but can also be hazardous. It can cause a fire or burn your hair. Before giving you the tips, I would like to answer a question that may linger in the minds of many by now. How often should I clean my hair tools? As often as you use them! Even if you are not into deep cleaning, wipe the excess oils on combs and flat iron after use. Rinse the chemicals off a tool and dry it before storing. You can plan a deep cleaning of your hair tools after every fortnight or one month. Use the following ideas to restore the sparkle and proper functioning of your tools. Hair ties, clips, headbands and other do collect a lot of hair styling products and body sweat during use. This makes it necessary to clean them often to keep them shining. Just soak them in a mixture of warm water and shampoo. Pat each gently until all the gunk comes out. You can rinse, then, dry with a towel or by hanging them outside, depending on the material. You will require a sharp pointed item such as a hair brush cleaner, scissors or a pen to remove any trapped hairs. Dealing with the comb is easier since you can just pull the hairs out using your hands. Depending on what materials your brushes and combs are made of, you may choose to soak or wipe them. Metals and plastics can be soaked in warm water and a mild cleaning agent such as dish soap, clarifying shampoo and baby shampoo. After at least 5 minutes, you can scrub with a toothbrush around the bristles, comb teeth, and the base. Rinse and dry by wiping or airing before storage. If you use a flat iron or curling tool with chemicals from previous styling products, it is likely to burn your hair and leave you with uneven curls or split ends. To avoid the menace, clean your tool by wiping with a cloth moistened with warm water. Another option is to spray the tool with iron cleaner or alcohol and rub. You can get better results if the tool is warm. However, do not clean when it is still plugged in the power socket. Inspect your blow dryer to locate the vent. For most models, it is located at the back. It is likely to be clogged up unless it’s new or you just cleaned it. Open the back cover and remove the filter. Consult the blow drier’s user manual if you have difficulties opening or identifying any component. Use a Q-tip, tweezers any sharp pointed tool to clean the filter. Use warm water to rinse and allow it time to dry. During this time, wash or rub other parts such as the nozzle and body with warm water or a damp cloth. Beverly Jenkins is proud of her staff at The Tidy Maids house cleaning service in Raleigh, NC. She has 24 years of experience in house cleaning, customer service, and business operations. 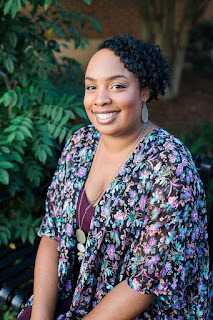 She knows all the tips and tricks and do-it-yourself hacks when it comes to cleaning and her clients' homes are the best proof for that. This post is right on time Lou. I recently read about how hair can be damaged further by using dirty combs as brushes. I never thought twice about cleaning my combs and brushes extra carefully because I replace them entirely every few months. But, I was immediately sickened after reading the article and now use baking soda to make sure all of the gunk is out of them instead of just rinsing or soaking them in plain water. Yeah girl, you'd be surprised how dirty hair tools can get. I have some bristle brushes that needs to be thrown away because they are very hard to clean. Another thing I clean once a month is my facial brushes. They too can mess up your skin if you don't properly take care of them. Me too Dani. When I forget to clean my brushes, I get nasty breakouts. I'm paying the price now for not cleaning some of my brushes in a timely manner. These are all great tips, I clean my brushed and combs weekly and usually wipe down my curling iron once a month - great reminders.